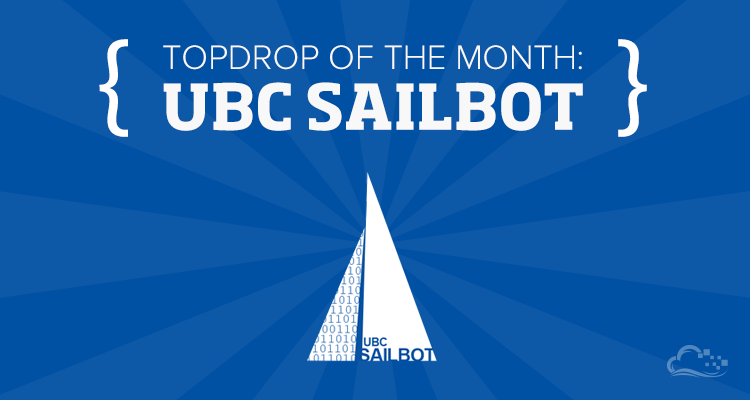 February's #TopDrop features UBC SailBot – a student team dedicated to designing and building a robotic sailboat [SailBot] to compete in the Microtransat Challenge – that will attempt to set a world record by crossing the Atlantic Ocean. Winning last year's SailBot 2013 International Robotic Sailing Regatta with a perfect score, the team's motivation is neither class credit nor financial gain; simply put, UBC Sailbot is passionate about complex programming, advanced electronics, and sailing. Their inolvement with robotic sailing has become an important part of their engineering education, and is a large contributor to their knowledge of engineering principles, naval architecture, mechatronics, and teamwork. The team consists of over 40 students at the University of British Columbia. With support from industry mentor and yacht designer Don Martin, these students design, manufacture, test, and race high-performance robotic sailboats. 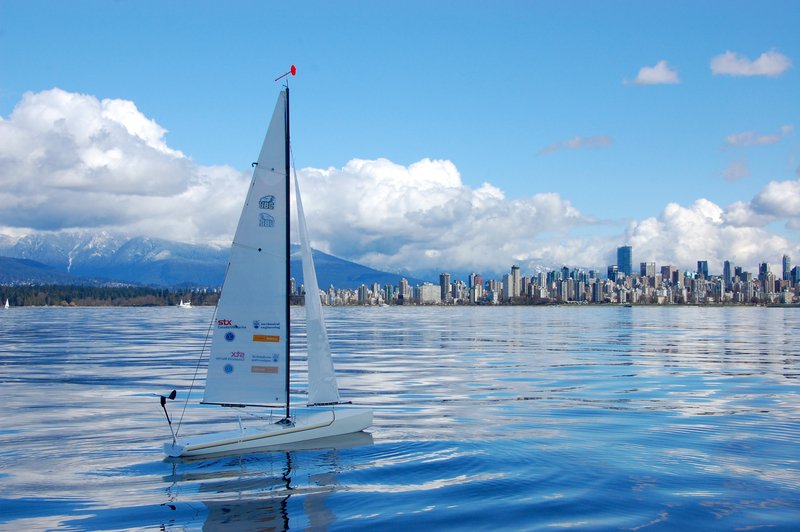 Over the past three years, the UBC team has had impressive results in the annual International SailBot Championships: 2nd in 2011, 1st in 2012, and most recently in 2013 where team again captured 1st place – this time with a perfect score of 50 / 50. To put things in perspective: the US Navy placed 2nd that year. "Our requirements for hosted computing power changed drastically this year. We went from only needing a blog, to needing a reliable place that could drive all of our various testing and public facing needs. When looking into different ideas for how to do this, DigitalOcean quickly rose to the top of the stack in terms of both speed and price. We also love SSDs!" 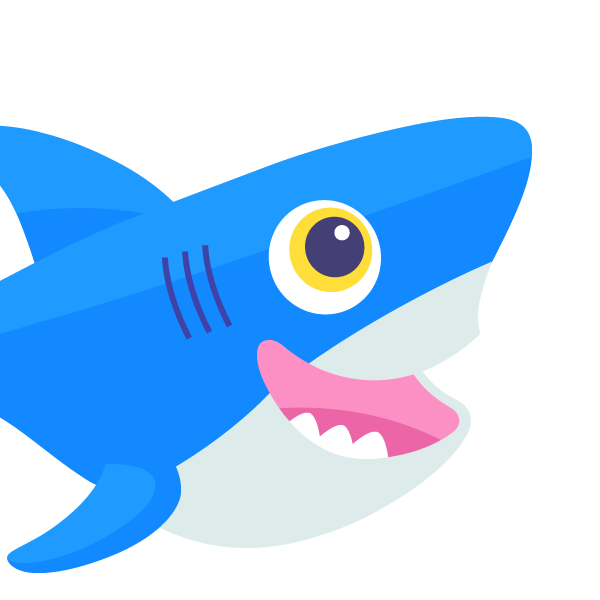 The team will utilize a DigitalOcean droplet for tracking, blogging, project management, and testing. 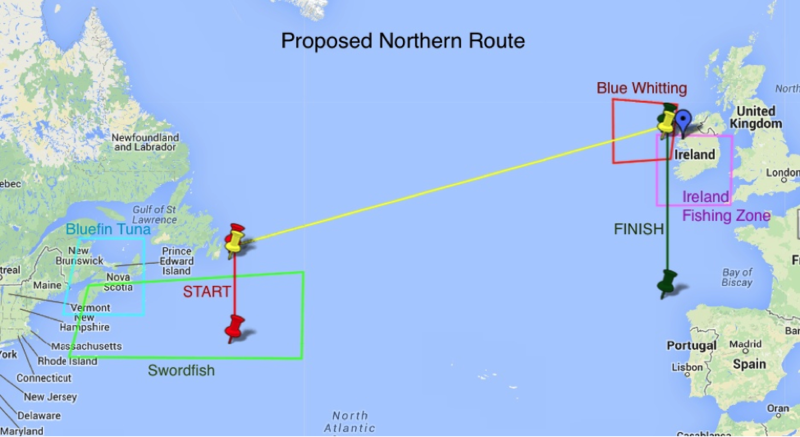 Their present aspiration is to cross the Atlantic autonomously, from Newfoundland to Ireland. When the boat starts its journey, its main point of contact will be with the droplet: information such as location and current telemetry data will be sent over satellite to the VPS, and all data will be displayed on the team's tracking page. They will also use the droplet extensively during testing, and when in range of GSM the team will use those networks instead of satellite to send information to the debug page also hosted on the VPS. This information consists of more granular data than sent over satellite, including the current state of the boat and sensors as well as the information sent from the algorithms running the control logic. Follow UBC SailBot on Twitter [@UBCSailbots] and cheer them on as they cross the ocean! Submit your project using the hashtag #TopDrop on Twitter, Facebook, or Google+.